LTU Lufttransport-Unternehmen GmbH, was a German leisure airline headquartered in Düsseldorf. It operated medium and long-haul routes and maintained hubs at Düsseldorf Airport, Munich Airport and Berlin-Tegel Airport. LTU was acquired by Air Berlin in 2007. The package, designed by Perfect Flight to work with FSX and Prepar3D V.2, V3 and V4. recreate some of the flights included in the old timetable. It add more value and enjoyment to your desktop simulation experience. 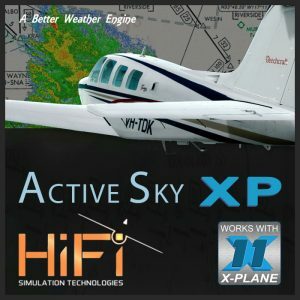 Fully compatible with Microsoft Flight SimulatorX, Steam Version and Lockheed Martin Prepar3D v2, v3, v4. Complete Fleet: The fleet includes Bombardier CRJ-700, Airbus A321, Boeing 747-400 and Lockheed L-1011-500 Tristar with free FMC, Ipad Radar, extra options and high resolution textures for the VC panel. The P3D Version does not include the L-1011 Tristar but has full mission pack. Missions Pack – The Missions pack (available in both FSX and P3D) features Flight briefing, Cabin preparation (Frequencies, Autopilot, etc. ), Step by step Check Lists Procedures (pre-start, taxi, before t/o, after t/o, descend, landing, parking) with prompt menu. Crew announcements, speed calls and restriction, Captain speaking, GPWS and much more! Fly for hours and hours of very enjoiment in a large range of scenarios. PES (Passengers Entertainment System) – Missions also features the exclusive PES (Passengers Entertainment System), wit five new and unreleased soundtrack. The PES is fully customizable with your own sound tracks.